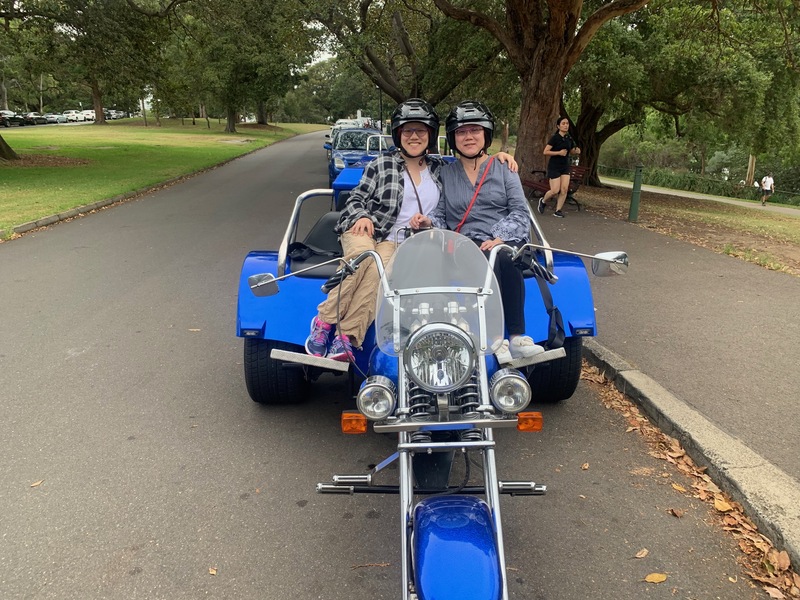 Warren’s 83rd birthday Harley tour was a surprise organised by his daughters and granddaughters. 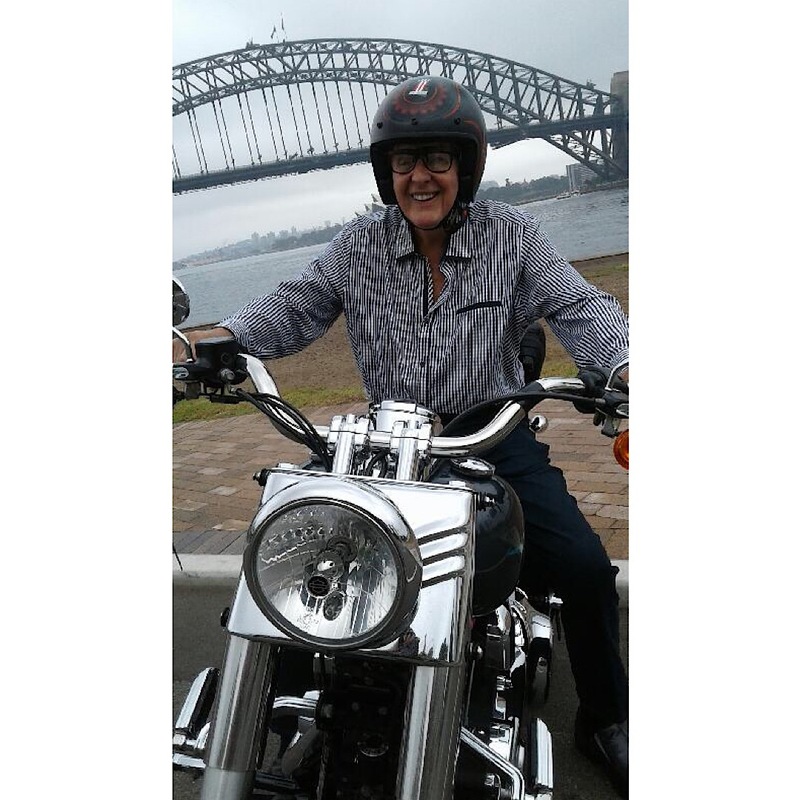 They drove him into the city to Dawes Point near the “Still Life with Stone and Car”. They told him to go and ask the Harley rider who was waiting there to move up. Warren said there was plenty of room so wouldn’t ask him that but wanted to talk to the rider anyway. So Warren got out of the car and went to talk to the Harley rider who just happened to be Jungle, our rider. The rest of the family got out of the car and followed him. After Warren and Jungle had been talking for a while the family told Warren he was going on a ride. To say Warren was happy was an understatement. He had never ridden on a Harley before and had always wanted to. He used to ride Indian motorcycles, he learnt to ride while in the army, training for the Korean War. It was over before he got to go but he has always used the riding skills he learnt. He and his family used to ride trail bikes. So Jungle took Warren on the ride of a lifetime. They did the ‘3 Bridges Tour’ with a surprise detour. 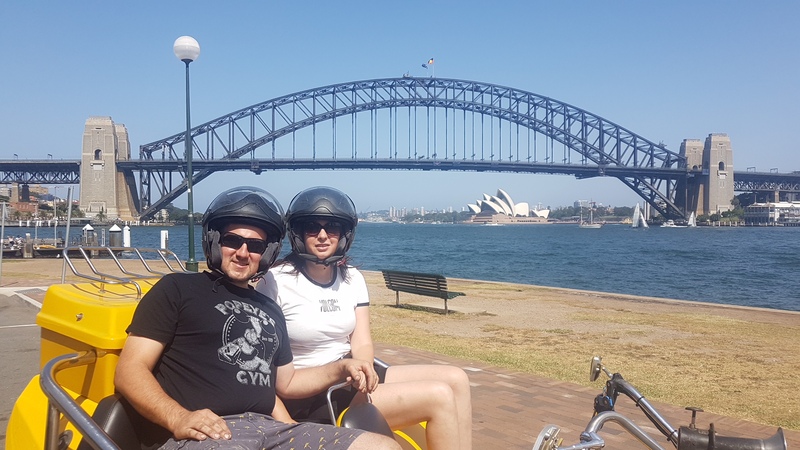 Firstly they rode over the Sydney Harbour Bridge to Blues Point Reserve where they stopped for photos. Next they rode through the lower north shore suburbs. This led them to the Gladeville Bridge in the inner west. It has wonderful views to the city. Then Jungle decided to do a detour to the Indian dealership on Parramatta Road. Warren didn’t realise they were still being made and he loved looking around and seeing how much they have changed since he rode one. They continued on the tour and over the incredible ANZAC Bridge. We never tire of the design of it, just amazing. Jungle rode through the city and back to the drop off point in Dawes Point. Jungle loved the ride just as much as Warren did. One thing our riders do like is the amazing and interesting variety of people they take on rides. Warren was one of them, Jungle loved hearing his stories. So for a fun 83rd birthday Harley tour or any other birthday, contact us and we will make it happen.